Hey Bloggers you will find so many websites that are providing lot of stuff about creating a websites step by step guidelines but more than half websites are worthless and giving useless views and guidelines that create confusions about blogging. Even I have faced too much difficulties initially but now I'm going to clear few basic and some advanced terms to fix all that and here you will find step by step guidelines to build up your website on wordpress. These tips are also for useful for newbie. This is the first and most important step to build up your own website. Many of you thinking about the term ‘Domain Name’ so it’s nothing more than the name of your website for example “www.google.com”. Best hosting package is that which is recommended by your friends. After this you have to upload your wordpress. You can download the latest version of wordpress from internet and create a zip folder in it. A database is that where you store your wordpress. Make proper use of username and password for this. 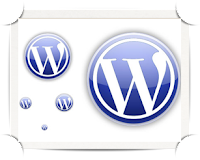 Wordpress will require some basic information after that installation is completed. Use an effective password by which hackers cannot access your wordpress. You can choose a new theme according to your choice to make your own website. Security of wordpress is more essential as hackers catch you. For this you have to keep your wordpress up to date. You can also remove Admin name from your wordpress to make it safe. You have to maintain your website by making effective pages. Import all contacts in synchronous way. Make a proper list of your friends. You have to create a proper analytics that how many visitors stay on your page. Which page they viewed most. How many times they stay on each page.